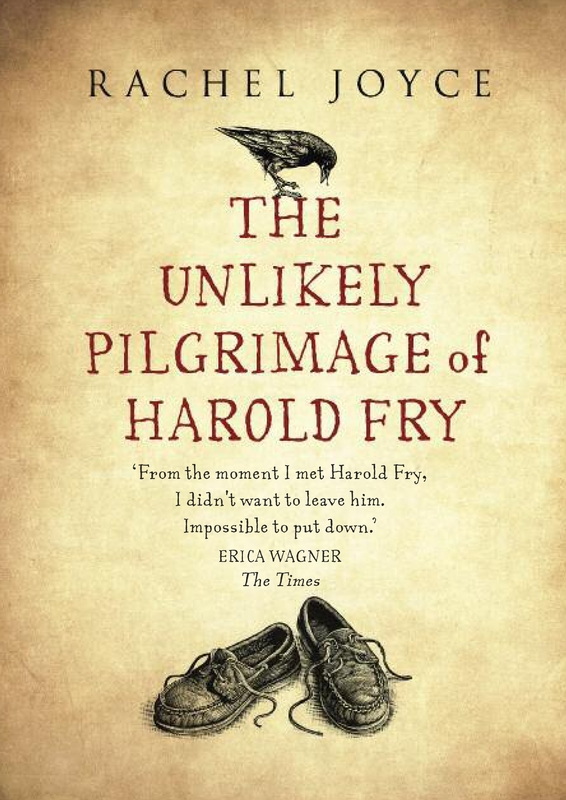 Have you ever stopped for a moment to consider what has happened in your life and silently asked yourself, “What was that about?” If so, you have much in common with Harold Fry in THE UNLIKELY PILGRIMAGE OF HAROLD FRY by Rachel Joyce. Set in Britain, the story of retiree Harold Fry begins as he receives a farewell letter from a former co-worker Queenie Hennessy who is dying of cancer. Under his wife’s perpetually critical eye, Harold tries to write a response, but it feels small and cold. Regardless, he sets off to mail his note. Each mailbox he passes seems to be wrong somehow, so he keeps walking until a young woman in a gas station convenience store inadvertently gives him the idea that if he believes hard enough, Queenie will not die as long as he keeps walking. With no plan in place but that, he decides to continue walking to Queenie who is in a hospice about 500 miles away. He owes her for a huge kindness she did for him many years earlier, and he is determined not to let her down. Harold’s walk becomes a kind of non-religious pilgrimage, a time for him to mentally revisit his past and evaluate who he has become and why. He has no map, no hiking supplies, and only his shoes designed for yachting. The physical and mental challenge of the walk is aided, complicated, and delayed by the various people he encounters along the roads as well as his own limitations. Back home, his wife begins a similar emotional journey based on the fact that she is suddenly alone, left to do her own soul-searching. Theirs is a story of love mislaid, loss, faith, and redemption. Books that are clumsily written give me pain, but this book is well crafted. With narrative that is both funny and sad, author Rachel Joyce tenderly reveals people who have allowed themselves to be overwhelmed by the expectations and behavior of others. The question is, what will they do with their new insights? Intrigued? Check out this book and more by Rachel Joyce by visiting her website at http://www.racheljoycebooks.com. This entry was posted on February 22, 2015 by Personal Journeys with Gramma in Working the Craft: Reading & Writing and tagged Challenges, Commitment, Faith, Growth, Harold Fry, Journey, Life Path, Limitations, Loss, Love Mislaid, Novel, Personal Growth, Personal Journey, Pilgrimage, Queenie Hennessy, Rachel Joyce, Reading, Redemption, Self-evaluation, The Unlikely Pilgrimage of Harold Fry.